Level I: Graduation from an accredited registered nursing program, and a valid and unrestricted license issued by the State of California to practice as a Registered Nurse; OR Possession of a temporary license issued by the State of California to practice as a Registered Nurse. Graduation from an accredited registered nursing program, possess and maintain valid and unrestricted license issued by the State of California to practice as a Registered Nurse, AND three (3) years of nursing experience; OR Graduation from an accredited registered nursing program, possession of a temporary license issued by the State of California to practice as a Registered Nurse AND three (3) years of nursing experience. Depending on assignment incumbents may be required to possess and maintain specific certificates of competency as a condition of employment. 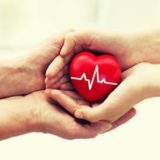 Level I/II: Possess and maintain a current American Heart Association Healthcare Provider Basic Life Support (BLS) card. 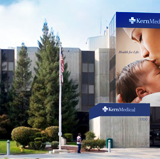 Employees must maintain all health requirements designated by Kern Medical Center. Possess and maintain a current American Heart Association Healthcare Provider Basic Life Support (BLS) card. A background check will be conducted for this classification. Hello, and welcome. 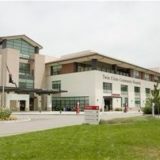 Kern Medical is a leading Central Valley health care organization, with a modern 222-bed hospital, a comprehensive offering of primary care and specialty clinics, and a large body of highly skilled doctors, nurses, technicians and other health-care providers. With the area’s only trauma center and teaching hospital, many of our services are unequaled in the region. Our volunteers, our charitable foundation, and our own employees eagerly support our mission of health and safety. As a public hospital, we are committed to serving the people of our community. Our care, while sophisticated, comes with compassion, respect and kindness in a community of diverse needs. We invite you to review the services, capabilities and information we offer. Thank you for your interest in Kern Medical.